After a fresh coat of white paint, Mandi was looking for a little something more on her walls. 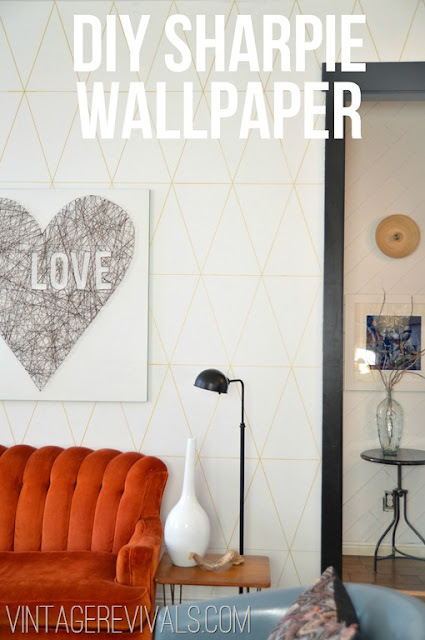 Not wanting to deal with wallpaper, she decided to get the look of wallpaper with the help of a paint pen! You will love this daring DIY transformation. You can see all of the detailed steps of the DIY sharpie wallpaper tutorial over on Vintage Revival.